When collaborating with external B2B guest users, it’s a good idea to protect your apps with multi-factor authentication (MFA) policies. Then external users will need more than just a user name and password to access your resources. In Azure Active Directory (Azure AD), you can accomplish this goal with a conditional access policy that requires MFA for access. MFA policies can be enforced at the tenant, app, or individual guest user level, the same way that they are enabled for members of your own organization. An admin or employee at Company A invites a guest user to use a cloud or on-premises application that is configured to require MFA for access. The guest user signs in with their own work, school, or social identity. The user is asked to complete an MFA challenge. The user sets up MFA with Company A and chooses their MFA option. The user is allowed access to the application. Test the sign-in experience before MFA setup. Create a conditional access policy that requires MFA for access to a cloud app in your environment. 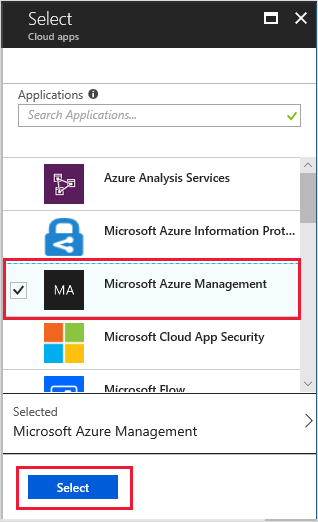 In this tutorial, we’ll use the Microsoft Azure Management app to illustrate the process. Use the What If tool to simulate MFA sign-in. Test your conditional access policy. Clean up the test user and policy. Access to Azure AD Premium edition, which includes conditional access policy capabilities. To enforce MFA, you need to create an Azure AD conditional access policy. Note that MFA policies are always enforced at your organization, regardless of whether the partner has MFA capabilities. If you set up MFA for your organization, you’ll need to make sure you have sufficient Azure AD Premium licenses for your guest users. A valid external email account that you can add to your tenant directory as a guest user and use to sign in. If you don't know how to create a guest account, see Add a B2B guest user in the Azure portal. In the left pane, select Azure Active Directory. 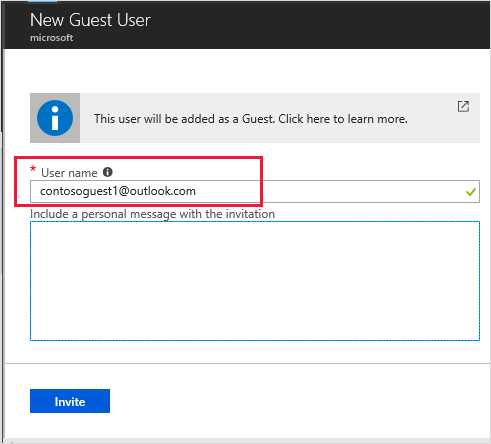 Select Invite to automatically send the invitation to the guest user. A Successfully invited user message appears. After you send the invitation, the user account is automatically added to the directory as a guest. 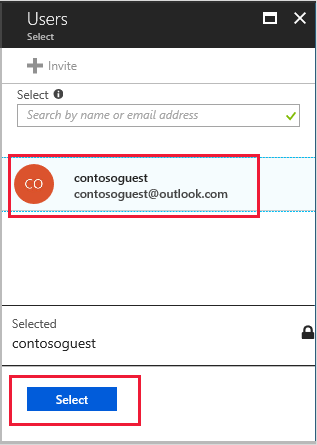 Use your test user name and password to sign in to your Azure portal. 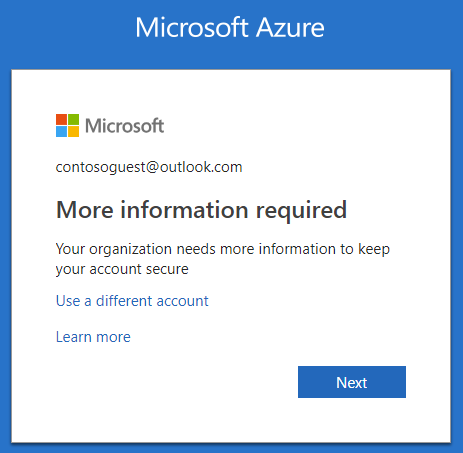 Note that you’re able to access the Azure portal using just your sign-in credentials. No additional authentication is required. Sign in to your Azure portal as a security administrator or a conditional access administrator. On the Azure Active Directory page, in the Security section, select Conditional access. On the Conditional Access page, in the toolbar on the top, select New policy. On the New page, in the Name textbox, type Require MFA for B2B portal access. In the Assignments section, select Users and groups. 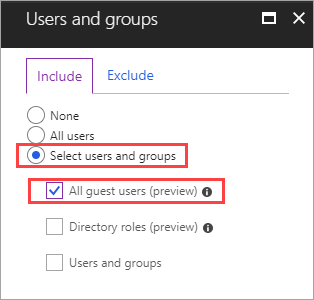 On the Users and groups page, choose Select users and groups, and then select All guest users (preview). On the New page, in the Assignments section, select Cloud apps. 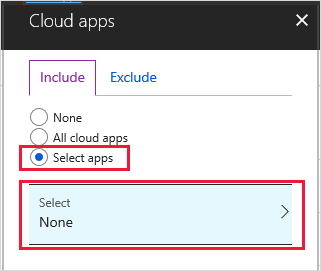 On the Cloud apps page, choose Select apps, and then choose Select. On the Select page, choose Microsoft Azure Management, and then choose Select. On the Cloud apps page, select Done. On the New page, in the Access controls section, select Grant. 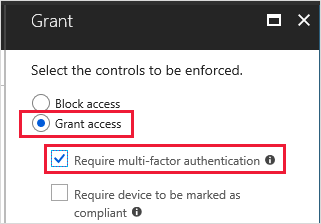 On the Grant page, choose Grant access, select the Require multi-factor authentication check box, and then choose Select. On the Conditional access - Policies page, select What If. Select User, choose your test guest user, and then choose Select. On the Cloud apps page, choose Select apps and then click Select. In the applications list, select Microsoft Azure Management, and then click Select. Select What If, and verify that your new policy appears under Evaluation results on the Policies that will apply tab. You should see a request for additional authentication methods. Note that it could take some time for the policy to take effect. When no longer needed, remove the test user and the test conditional access policy. Select the test user, and then select Delete user. In the Policy Name list, select the context menu (…) for your test policy, and then select Delete. Select Yes to confirm. 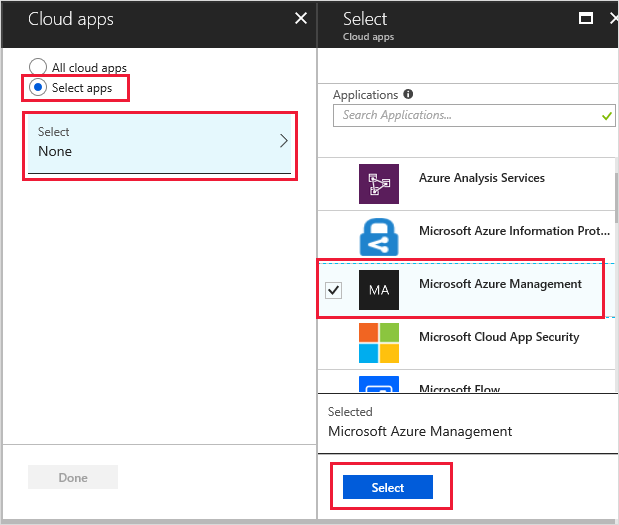 In this tutorial, you’ve created a conditional access policy that requires guest users to use MFA when signing in to one of your cloud apps. To learn more about adding guest users for collaboration, see Add Azure Active Directory B2B collaboration users in the Azure portal.